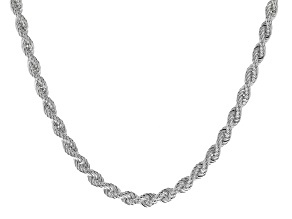 What could be more classic or versatile than silver rope chains from JTV? Sterling silver rope chains look beautiful on their own or layered with other necklaces and pendants. Or, you can keep a variety of rope chain lengths on hand so you can switch out your favorite silver pendants to better accent your ensemble. 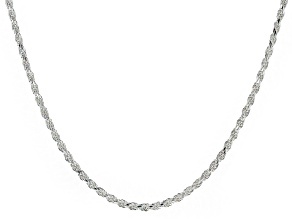 No matter what your personal jewelry taste is, silver rope chains are a smart accessory to keep in your collection. 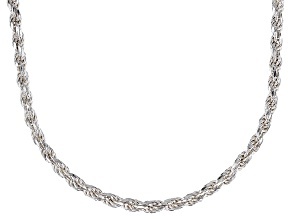 Shop sterling silver rope chains at affordable prices at JTV today. Consider keeping silver rope chains in reserve for emergency gifting situations: almost everyone can use and appreciate the shine of sterling silver and the classic design of rope chains! 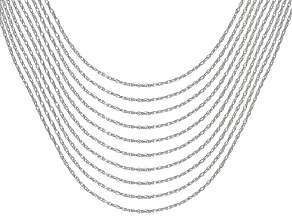 And at JTV prices you can afford to keep a few silver rope chains in pretty boxes, ready to give as "thank you" gifts, hostess gifts or emergency back-ups for when your custom-ordered Mother's Day gift doesn't arrive on time. 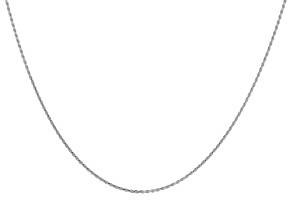 From delicate to robust thicknesses and weights, silver rope chains can help fill the gaps in anyone's jewelry collection. 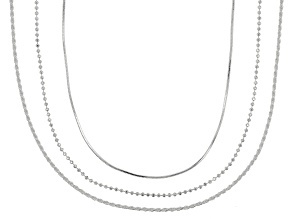 Explore JTV's selection of pretty sterling silver rope chains to find the perfect styles for yourself or someone else. While you're here be sure to also take a look at CZ jewelry and silver bracelets-JTV has an immense collection of jewelry to go along with silver rope chains and so much more. 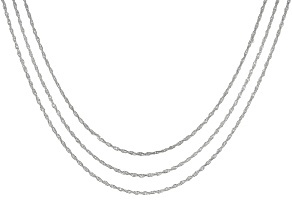 Layer more than one sterling silver rope chain for a subtly textured look: at JTV's prices you can afford to double up! Find great deals on silver rope chains from JTV today.